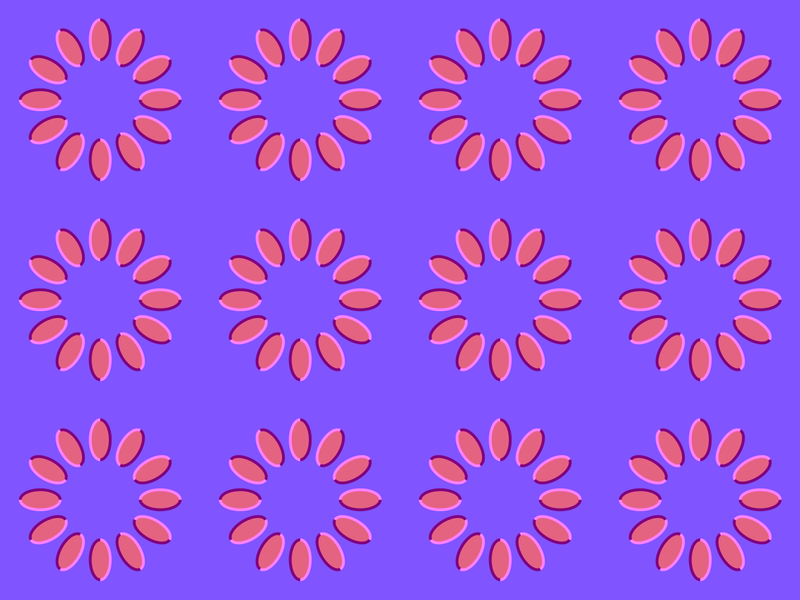 On a bright display, each ring appears to rotate clockwise whereas counterclockwise in a print in a dark illumination. 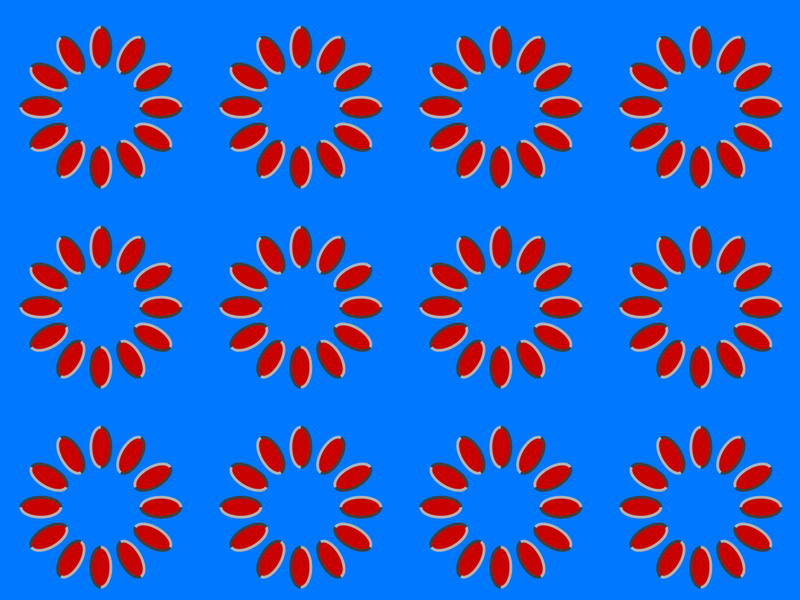 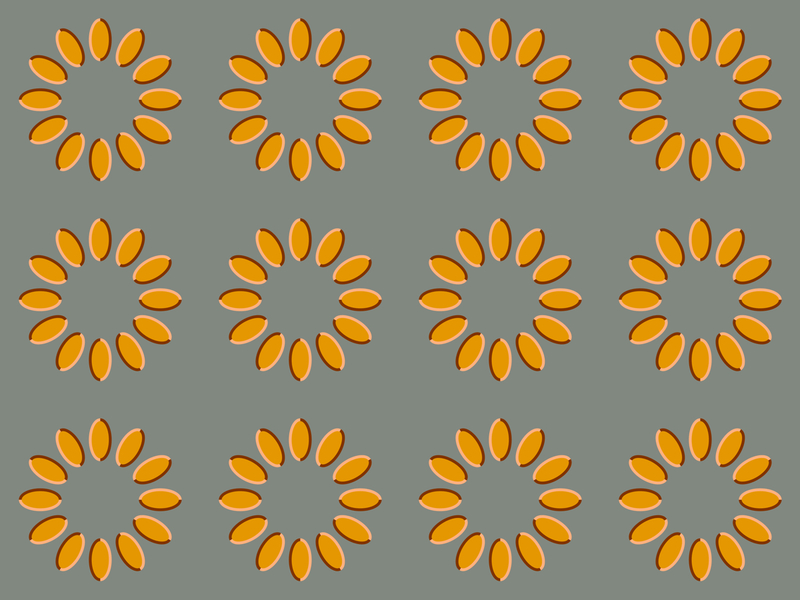 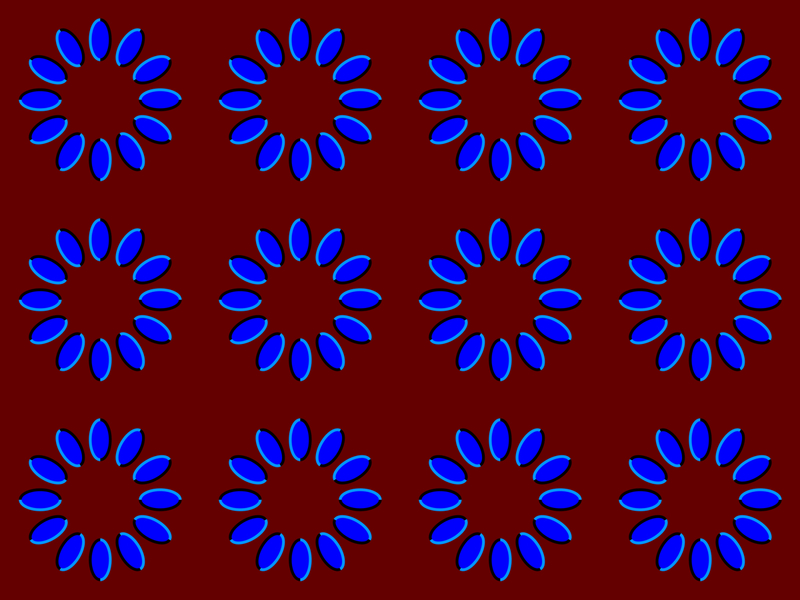 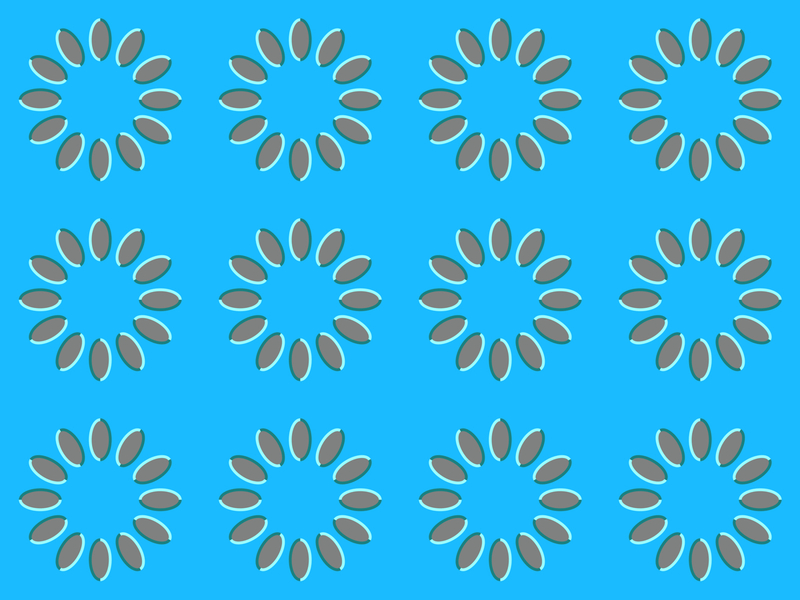 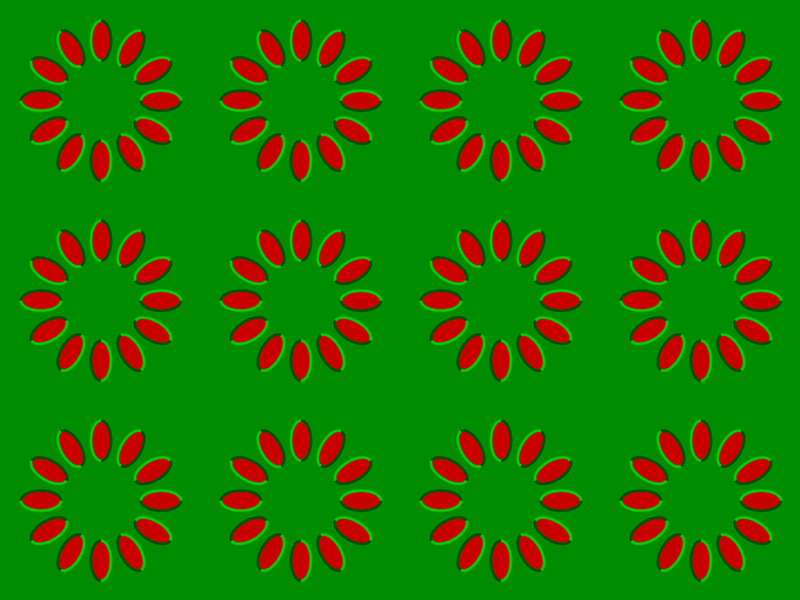 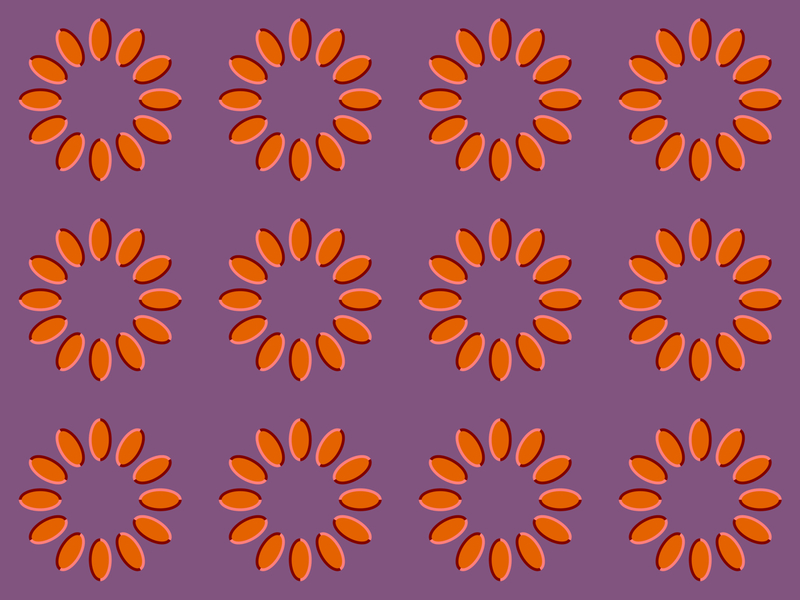 On a bright display, each ring appears to rotate counterclockwise. 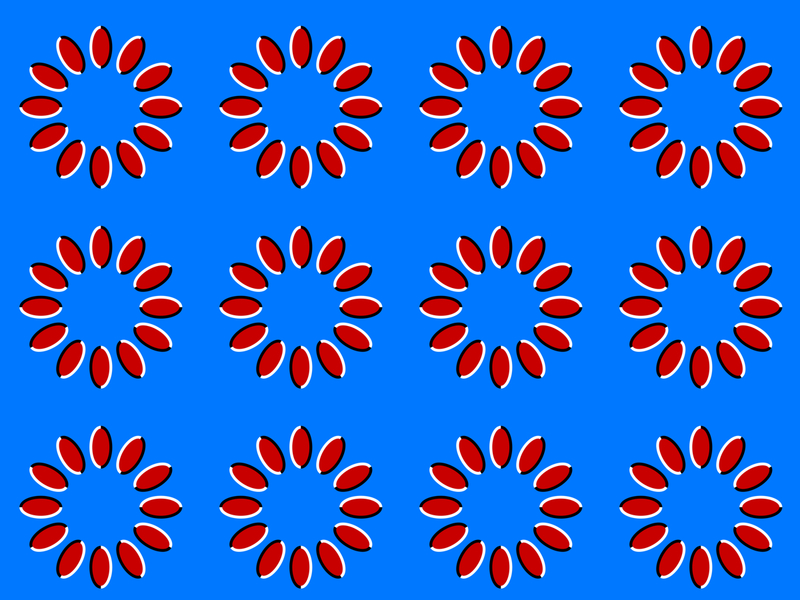 Illusion is weak in a print in a dark illumination. 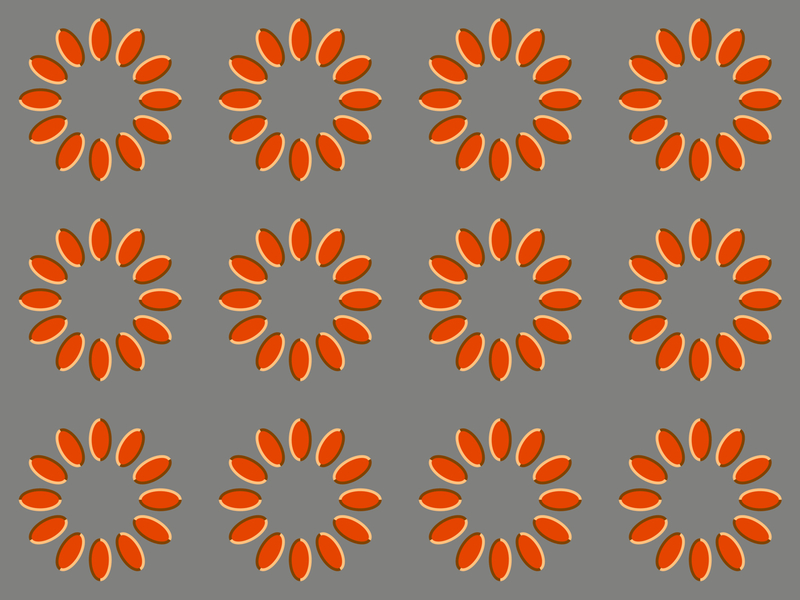 Apparent red is gray. 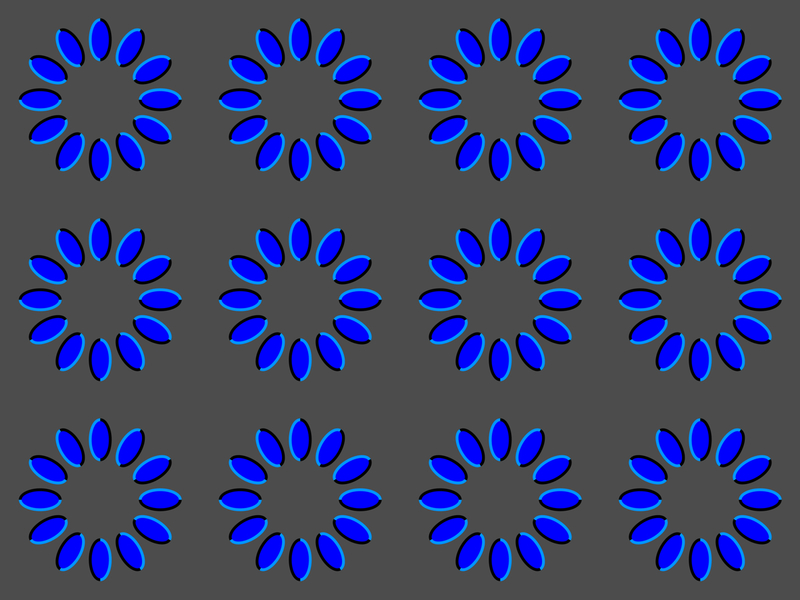 On a bright display, each ring appears to rotate counterclockwise. 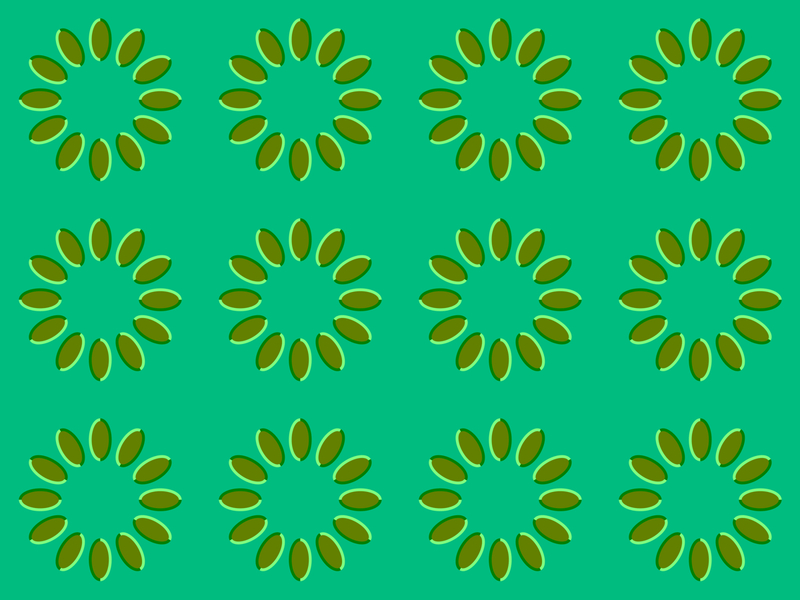 Illusion is weak in a print in a dark illumination. 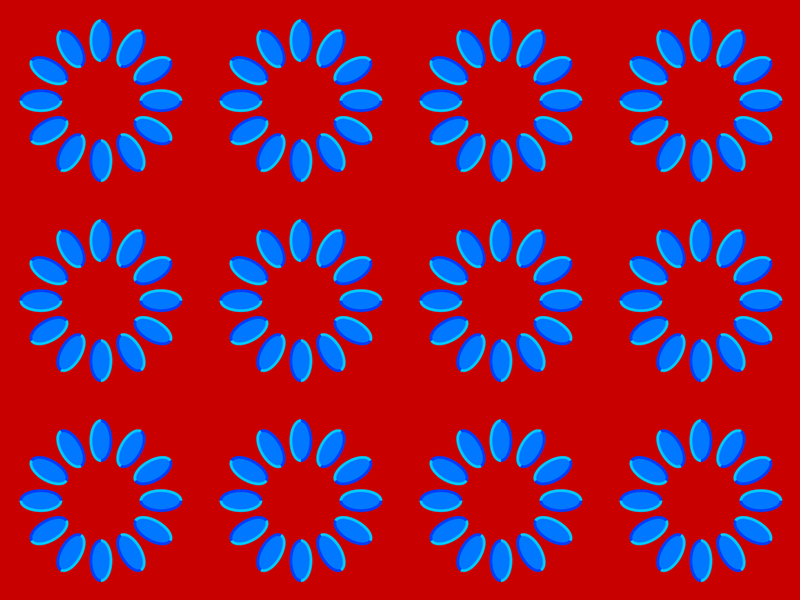 Apparent red is dark yellow. 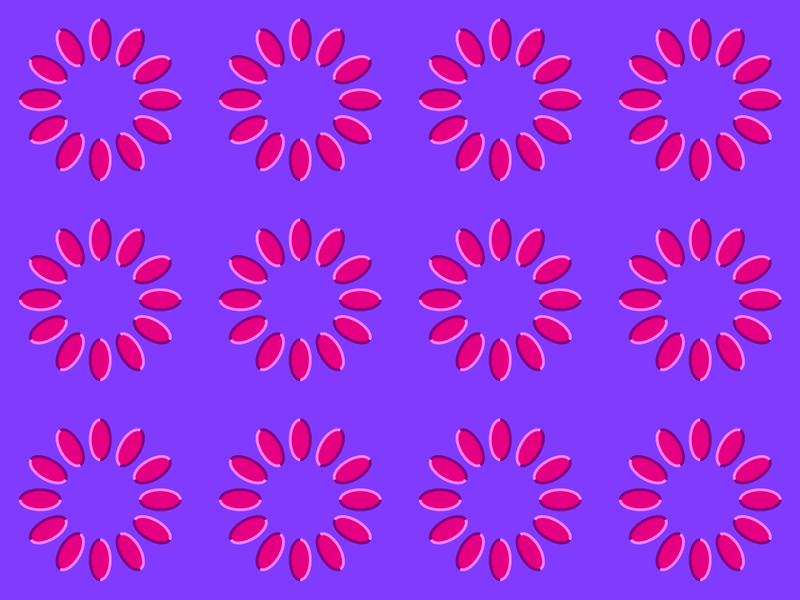 Each ring appears to rotate clockwise in a print in a dark illumination. 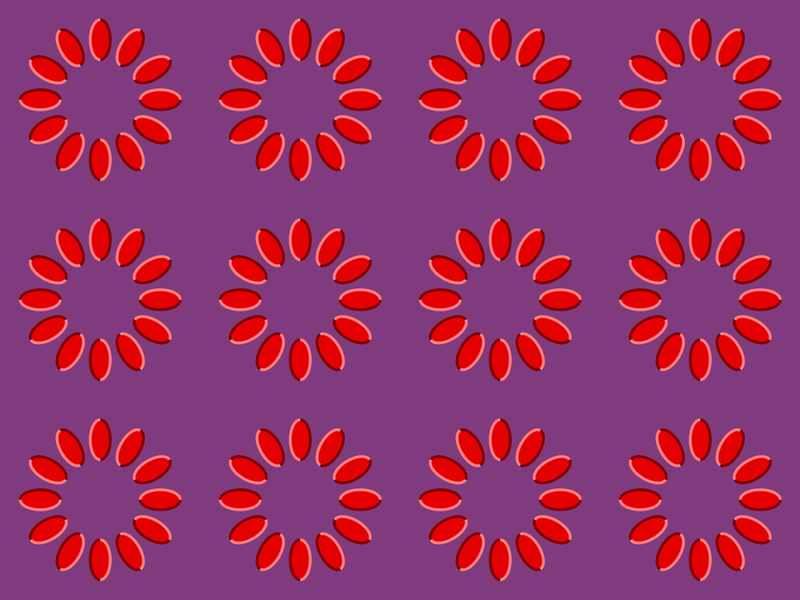 Each ring appears to rotate counterclockwise in a print in a dark illumination. 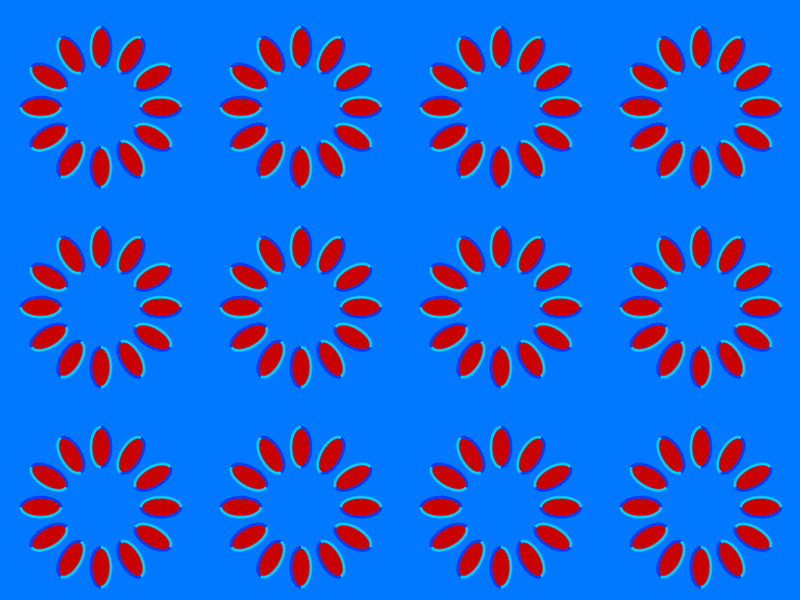 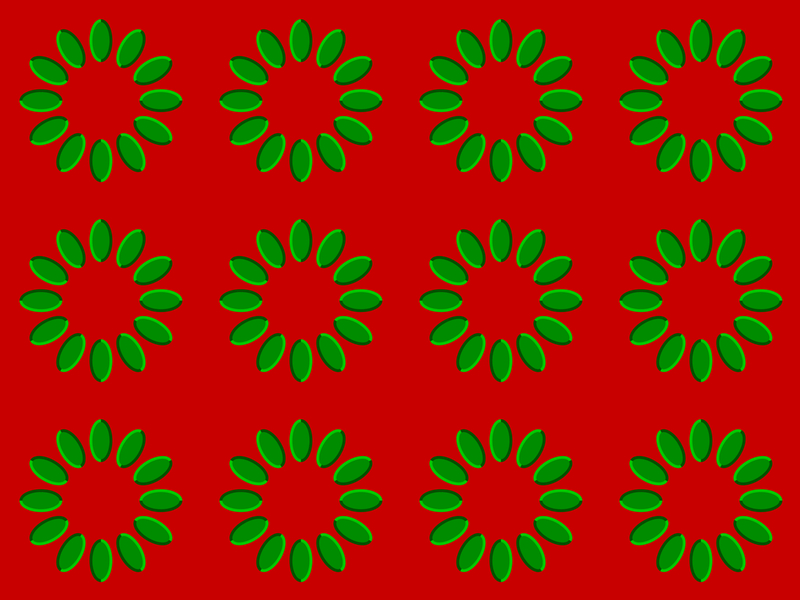 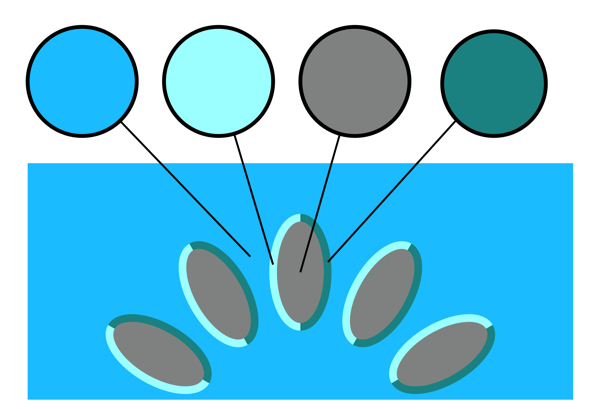 "Rotating red rice: original, modulated"
On a bright display, the upper-left, upper-right, and lower-middle parts appear to rotate clockwise and the rests counterclockwise. 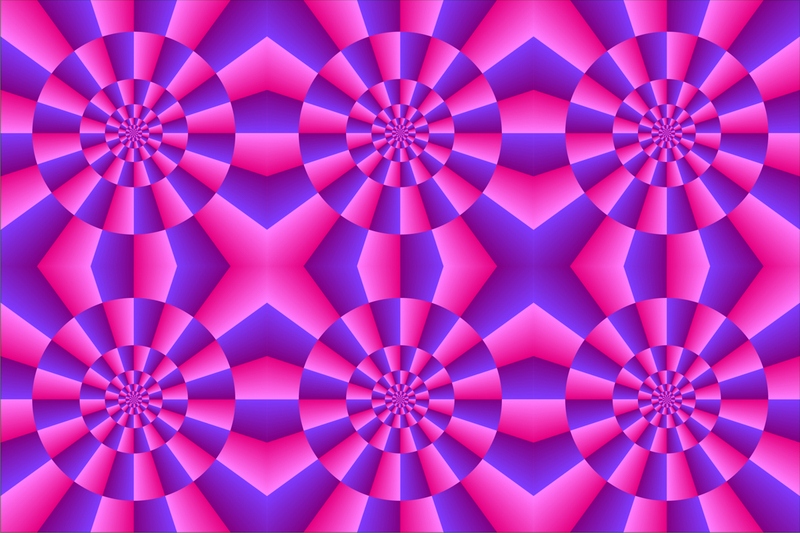 To the contrary, the illusory rotations are reversed in a print in a dark illumination.